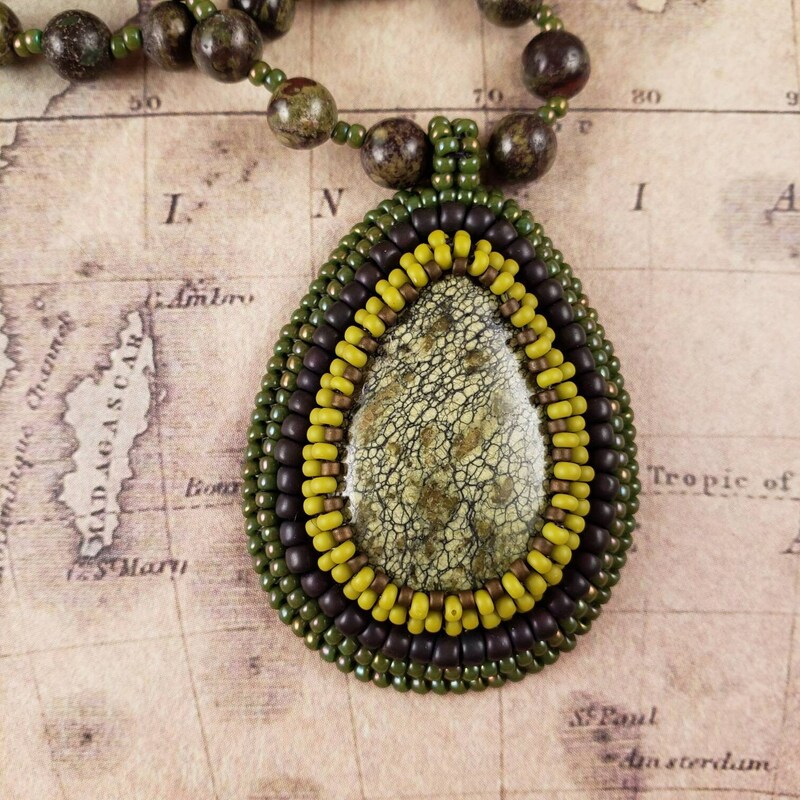 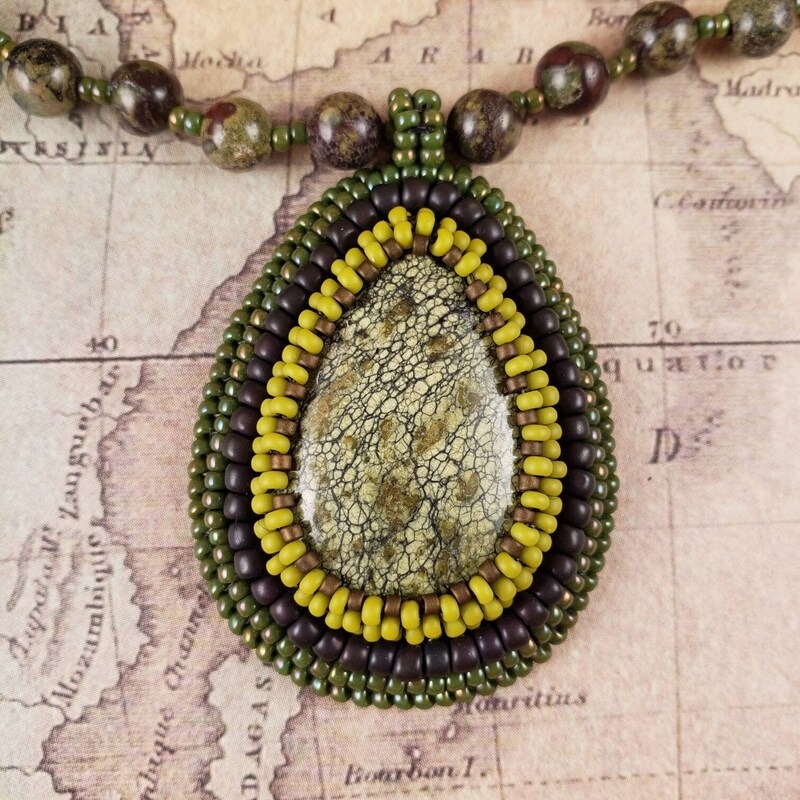 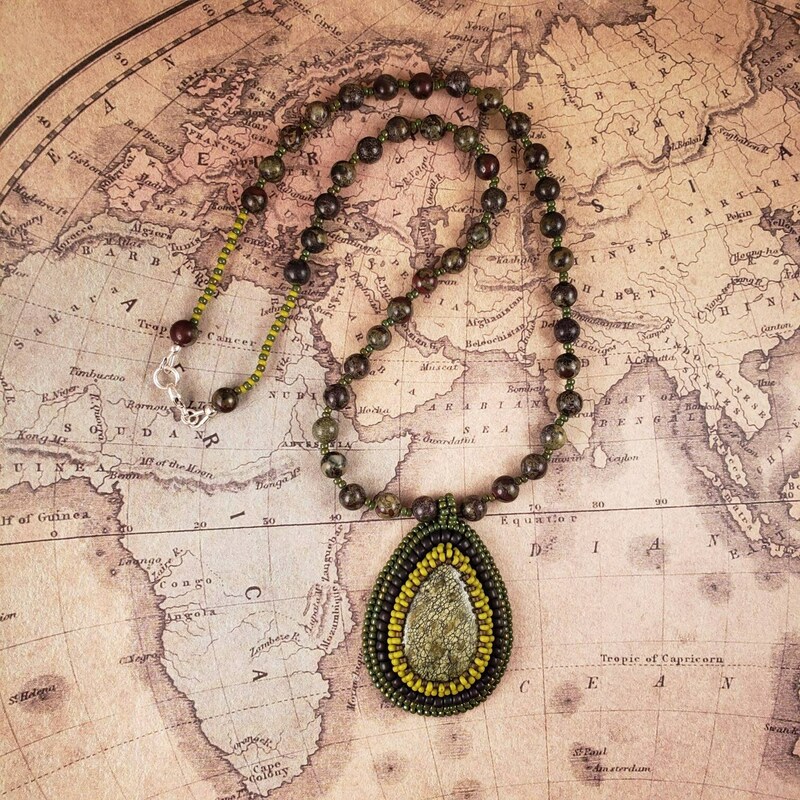 Bright green teardrop jasper pentant with beautiful dark vein matrix. 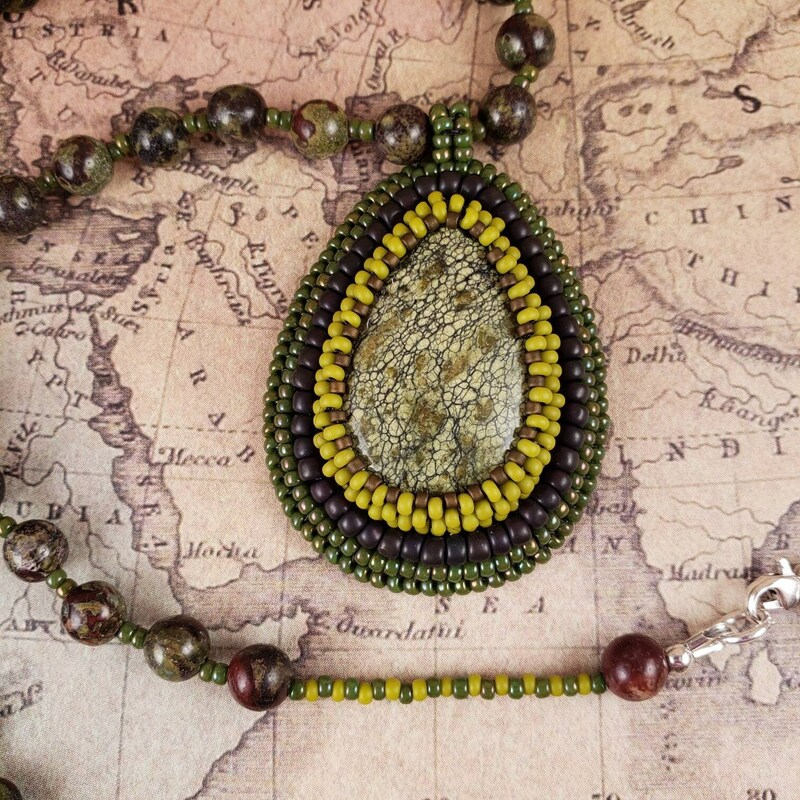 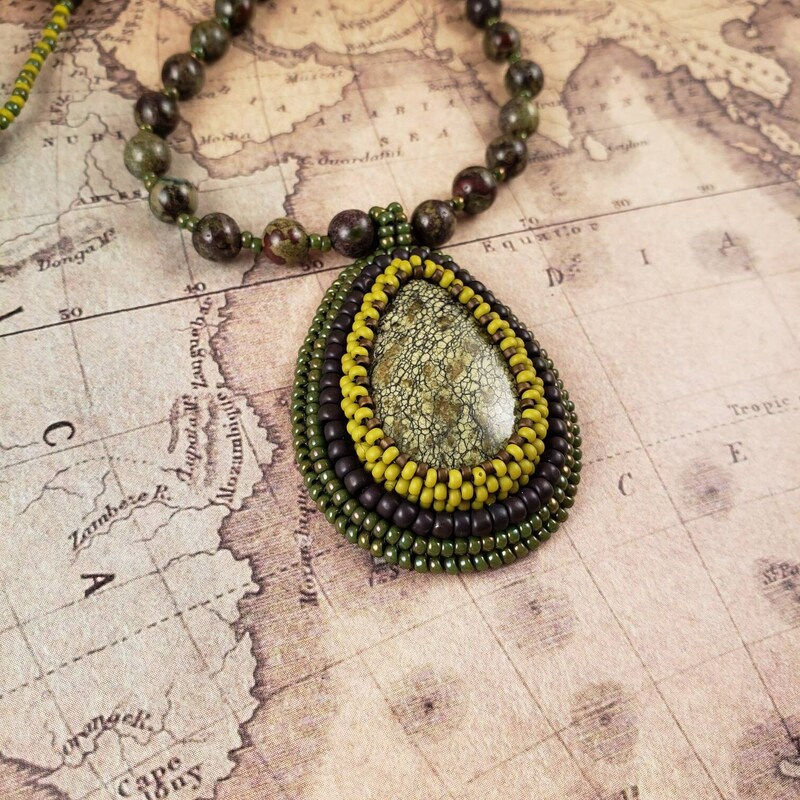 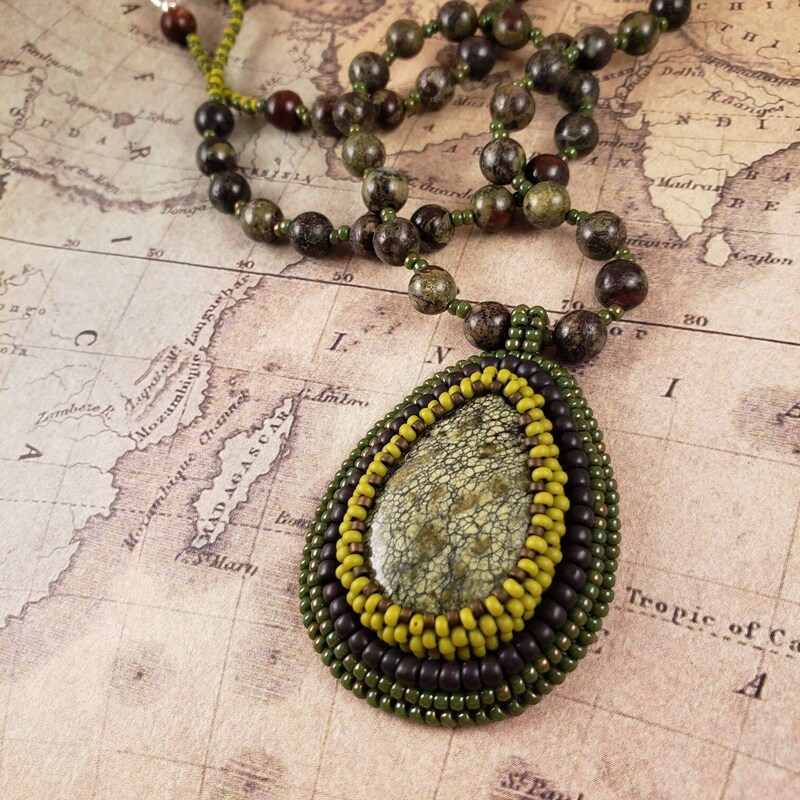 Bead embroidered with rainbow olive, matte lime, matte bronze and eggplant purple glass seed beads. 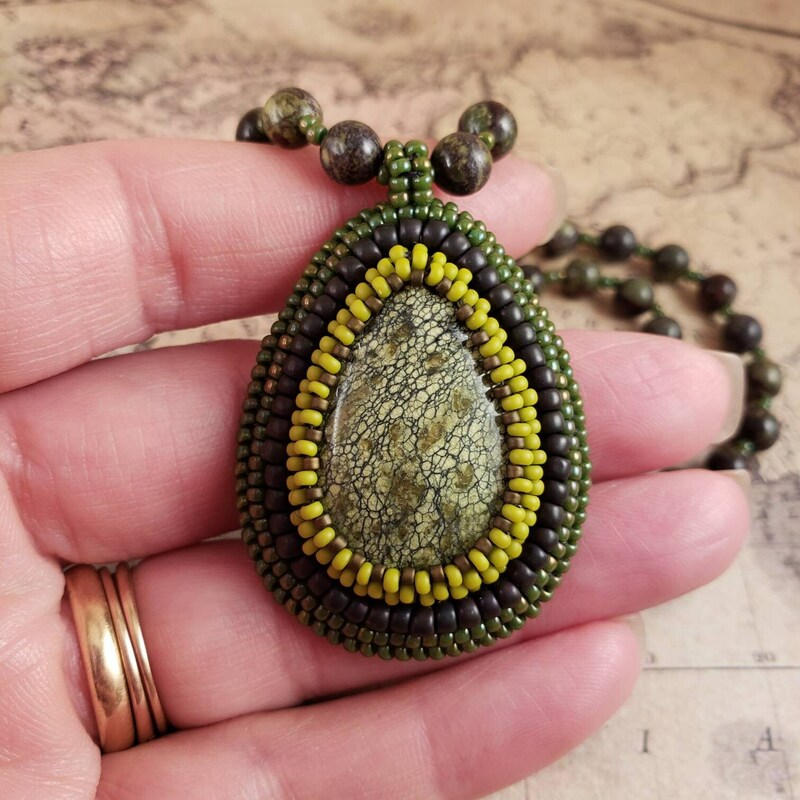 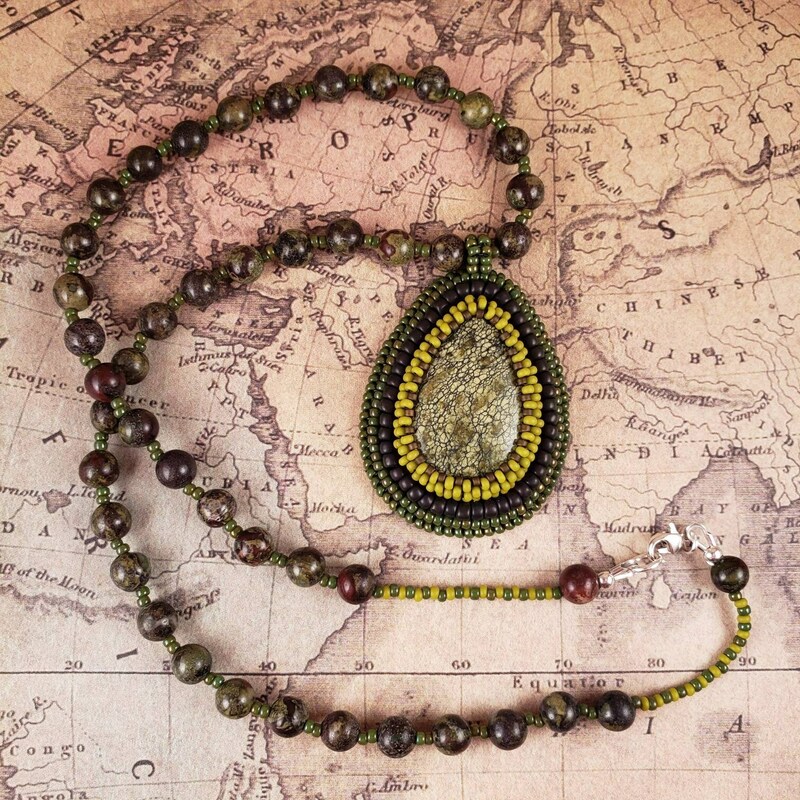 Hangs on a Dragon's Blood jasper beaded necklace. 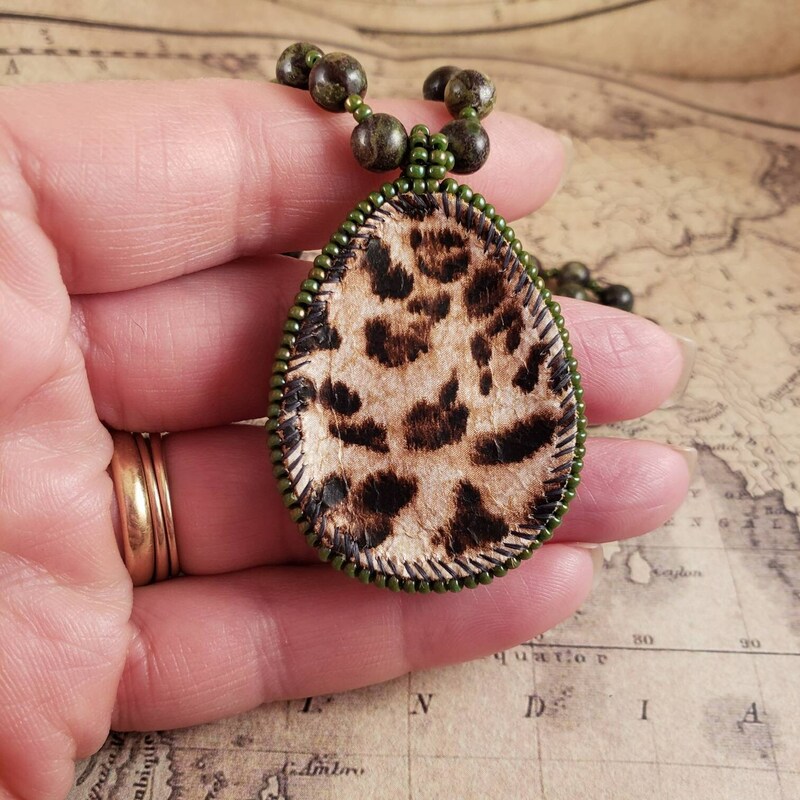 Pendant is approx 2" x 1.5"